Project announcement: I’m preparing some videos in which I chat about science in books (both fiction and non-fiction). I’ve recorded some footage, but I don’t seem have a single minute of time left in the coming month to work on it further, so it will have to wait until later this autumn. I want to have a few episodes in the can before I put any of them up, so that they can go on a schedule. When I selected my books to read for the BookTubeAThon (see video above), I noticed that more half of them were about science, even though I didn’t deliberately choose them based on that topic. Two of the novels has scientists characters (see the LabLit site for many more! ), one was a fictional science text book, and one a non-fiction book about science. There is lots of science in books, and my bookshelves are full of books about science or scientists, and there is just a lot to talk about. A LOT. I like video. I can write, but over the past decade of science blogging, my audience changed. Instead of a core audience I now have random people coming in from twitter once in a while. People who don’t know me, who don’t get my references and jokes, and who seem to read my writing with a much too serious voice. 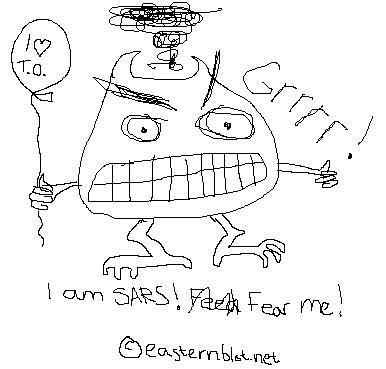 If you don’t know that my blogging history included deliberately and successfully getting a ridiculous drawing to the Google Image Search results for “pictures of SARS“, and being kidnapped by Charles Darwin because his birthday was overshadowed by Valentine’s Day, and you just come across a random post here, you will probably get the tone wrong. So I’m starting to explore video a bit more, and see how that goes. Also, as I wrote on Medium this week, I can’t deal with podcasts at all.